Mark Zuckerberg is in Washington D.C. this week testifying before Congress about the data leak to Cambridge Analytica that is thought to have helped Donald Trump secure the U.S. Presidency. Zuckerberg was well prepared for the line of questioning. The lawmakers, less so. They didn't seem to quite understand the technology behind Facebook, Cambridge Analytica, or apps. Ted Cruz in particular latched onto a subject that seemed to have little to do with the proceedings. He asked Zuckerberg if he had fired Oculus founder Palmer Luckey for his political views. Zuckerberg had to assure lawmakers that he didn't fire Luckey because of his political leaning. Senator Ted Cruz hammered Zuckerberg over 2016 reports that Facebook had deleted conservative political news from its trending stories list. Cruz then asked Zuckerberg about the political views of the employees who chose stories for the trending topics list. Zuckerberg told him that he didn't ask employees for their political views. Cruz followed up with "Why was Palmer Luckey fired?" 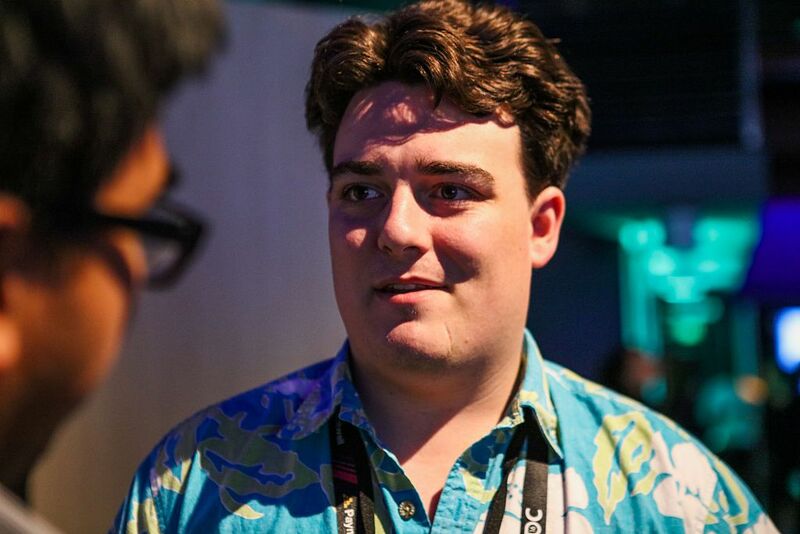 Palmer Luckey was born in Long Beach, California in 1992. He developed an intense interest in electronics at an early age. In 2011, he built his first VR prototype in his parents' garage. He created his own system, as he found certain elements of what was then available in VR headsets to be substandard. He named his prototype CR1. He enrolled in Cal State Long Beach and majored in journalism. He continued to explore electronics while going to classes and running one of the college's newspapers. He got jobs repairing boats, teaching sailing, and fixing broken iPhones in order to fund the equipment he needed for virtual reality experimentation. He used the $40,000 he earned to buy more than 50 VR headsets in his quest to develop a better VR headset and system. In 2012 he launched Oculus VR with the sixth version of his headset, the Rift. He crossed paths with another VR enthusiast, game developer John Carmack, who asked Luckey for one of his headsets and then modified one of his games to work with the Oculus system. Carmack took the game and VR system to the Electronic Entertainment Expo in June 2012. Luckey became a VR superstar after that. He dropped out of college to pursue Oculus and raised venture capital money. Oculus VR announced a Kickstarter campaign and raised over $1 million in funding in less than 36 hours. They went on to raise $2.4 million from crowdfunding and another $88.6 million from private donors and venture capitalists. Then in March 2014, Mark Zuckerberg announced that Facebook was acquiring Oculus VR for $2 billion. In just three years, then 22-year-old Palmer Luckey went from building a headset prototype in his parents' garage to selling his company for $2 billion That $2 billion was made up of a combination of $400 million in cash, 23.1 million shares of Facebook and an additional $300 million to be paid in the future. A staggering $500 million of that $2 billion became his personal net worth. Today, Luckey has a net worth of $700 million. Ted Cruz's questioning of Zuckerberg about Luckey is in reference to a 2016 report from The Daily Beast that revealed the Luckey was secretly funding a pro-Trump political activism group called Nimble America. The group's motto was that "shitposting is powerful and meme magic is real." Once details of his involvement in the group were public, he dropped out of sight. It has never been clear whether Luckey quit Facebook or whether Facebook fired him. "That is a specific personnel matter that seems like it would be inappropriate to speak to here." Cruz asked Zuckerberg if it was true that Facebook "didn't make decisions based on political views," as Zuckerberg had previously stated. Zuckerberg said: "I can commit that it was not because of a political view." This would seem to suggest that Luckey was fired by Facebook, but not because he was funding the Trump meme machine. Luckey currently runs Anduril, a high-tech defense and security startup.